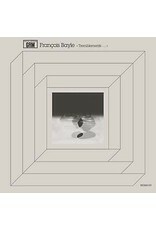 François Bayle on Tremblement de terre très doux (1978); first performance on March 19, 1979 at the Grand Auditorium of Radio-France, Ina-GRM's Cycle Acousmatique: "The familiar generates the strange. These rolls, these hums, these sudden rushes; this song, these peaceful circlings; these sudden outbursts, these returns to quiescence -- what do they remind us of? This piece's trajectory could also be a representation of the dramatic unfolding of a day -- of a life -- from sunrise ('Climate 1') to night-time ('Landscape 4') via restless encounters, transitions ('Transit 1', '2', and '3') that announce the drama climaxing in 'Landscape 3', before reaching its denouement in "Climate 4"... A whole concrete 'story'. 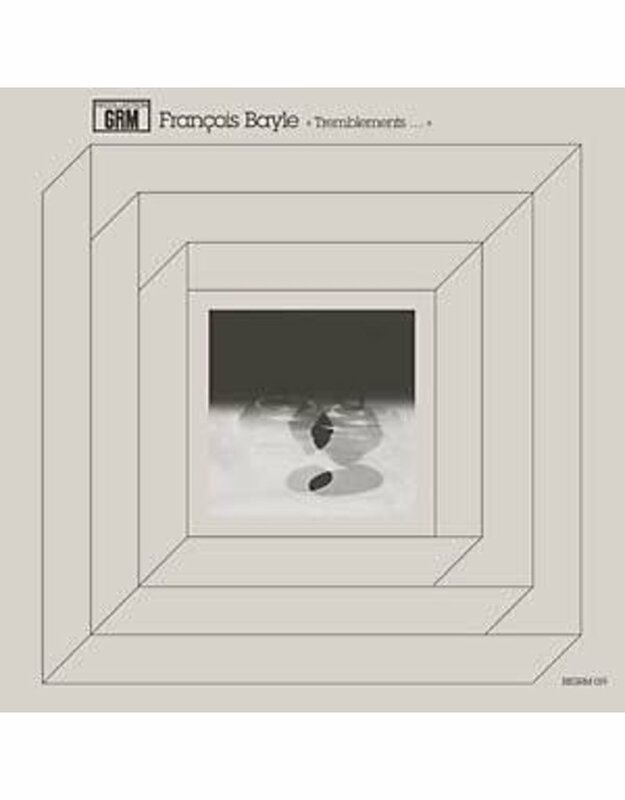 The subterranean properties inherent to listening gently shift our ideas..."
François Bayle on Toupie dans le ciel (1979); first performance on January 21, 1980 at the Grand Auditorium of Radio-France, Ina-GRM's Cycle Acousmatique: "A wave is swaying on two minors thirds. This constantly uniform yet constantly varied swaying revolves in a swarm of sharp designs that blink on and off in a layer of growing density and mobility. Distance, speed, pressure, density, temperature, color, intensity, are the 'themes' of the 27 short interconnected cells flowing together though this seemingly unified movement. Occasionally, a breach in the texture reveals skies dotted with little comets. In the center, a slow gliding picks up the distant harmonics of a basic chord. Toward the end, this gliding returns with a fiery burst. Fine lines and whirs are generated from the song of a spinning antique top. To end on a lighter note the title Toupie dans le ciel -- 'Spinning Top in the Sky' reminds us of 'Lucy in the Sky with Diamonds' by The Beatles as well as Lucy, the oldest Australopithecine (three million years), our African grandmother in the Erosphere... The overall title Erosphere alludes to the desire inherent to the listening experience, and to the very primitive cues that sustain the auditory attention and are the basis of all musical pleasure." Cut by CGB at Dubplates & Mastering, Berlin, June 2017; Digital transfer by Jonathan Fitoussi; Translations by Valérie Vivancos; Layout by Stephen O'Malley; Coordination GRM - Daniel Teruggi and François Bonnet; Executive Production - Peter Rehberg.